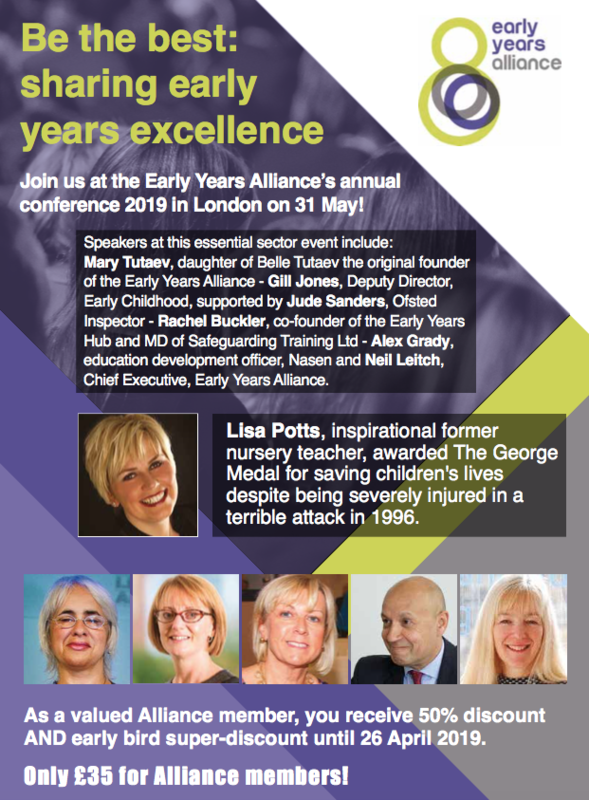 The 2019 annual Alliance member conference will take place on Friday, 31 May 2019 at the Hilton London Bankside, in Southwark, London SE1 0UG. The Alliance conference has been refreshed for next year! Delegates will enjoy an even more dynamic, packed programme. We are also increasing opportunities to share best practice, ask questions and interact directly with experts across the day. We’ll give you more specialist, practical business support to take away with you and share with your teams. If you are a nursery owner or manager, or pre-school, baby and toddler group, crèche leader, childminder, early years educator, Ofsted, or local authority advisor – this event is for you.